Dreyma mod adds 95 minutes (!) of carefully curated music that perfectly fits Skyrim. Inspired by Jeremy Soule's soundtrack. 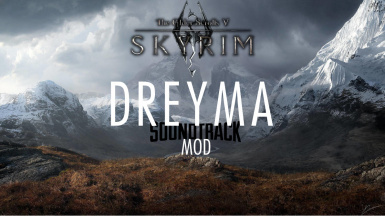 Dreyma mod adds 1:35 hours of carefully curated music that perfectly fits Skyrim. Inspired by Jeremy Soule's soundtrack. I've been a fan of the show Vikings for a long time. I've been a fan of Skyrim and it's beautiful soundtrack for a long time. However, I always felt the lack of real badass Nordic-style battle themes and more exploration tracks. So I decided to compose my own. They have been composed to seemlessly fit into the game. Before you ask, no, this mod doesn't feature any kind of Celtic music, becouse contrary to popular belief, Celtic and Nordic are not the same thing. And Skyrim is based on Nordic. There are also songs composed by my fellow composers featured in this mod and video.